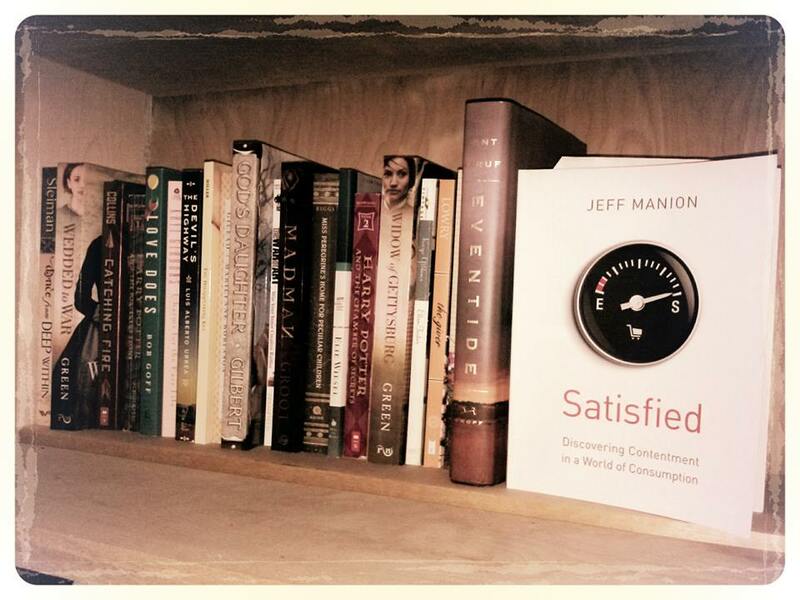 I just finished reading Satisfied by Jeff Manion the teaching pastor at my church. He wrote about how to live with satisfaction in this world where consumerism drives us to every store in town, encouraging us to fill our trunks with things, convincing us that the more we have, the happier we’ll be. We aren’t our stuff. We don’t need to fill up our homes to be happy. In fact, we need to give and give and give some more. And enjoy what we have, but not let it rule us. It’s great and convicting and I’m not doing it justice. You should probably just pick up a copy from Baker Book House instead. One part of the book, though, convicted me deeply. It was the section about comparison. Be satisfied and happy and content and thankful for where/who you are. For what you’ve been given. Stop looking at others and asking, “Why them and not me?”. If I’m honest, I compare far too much. Yeah. I do it in the normal ways. I compare the way I look, the clothes I have, the van I drive, the house I live in, the phone I use (really? I’m envious of someone’s PHONE? How ridiculous is that? )…and on and on and on and on it goes. But, even more deeply rooted is how I compare my writing career to others. Ouch. That’s not very flattering, is it? Can I let you in on a little publishing industry secret? My eyes have been turned green more times than I’d like to admit since I started writing. Here’s the thing. In those moments/days/weeks/months/YEARS I’ve taken my eyes off the gift I’ve been given and focused on what others have. Doing so made me feel like I was lacking. I was looking with messed up perspective. When I intentionally see my career as a gift (which it really is), I realize that it’s not for me, anyway. That, by comparing, I’m desiring to hoard up all the words and acclaim and opportunities for myself. Nothing will kill joy like holding it so tightly it is snuffed out. But, when I see it as the gift that it is, I realize that it’s to be given away. So, I write the stories I have to tell. I try to be encouraging. I work at being grateful every single day. And part of that gratitude is finding a way to do happy dances when other writers land a huge contract or on a super-special-super-book-seller list. When I can do that, I’m living a satisfied life. And that, my friends, is a very peaceful and joy-filled way to live. My wife is reading this, we’ve been going to ada for about 12 years. Great series. I’m eager to read the book when she is done. You go to Ada? Which campus? We’re Saturday night Cascade people. I’m going to have to pick up a copy of Jeff’s book. I could use a kick in the pants in that area too. I think we all need a reality check when it comes to comparing ourselves with others. I just wanted to tell you that I was really touched by your sensitivity and passion for writing about difficult topics, and for life in general. You are a straight arrow, someone whose convictions are right out there in the open. I saw it in your eyes and through your talk last night. God is using you in a powerful way. Continue to follow His lead. You’re a gift. Don’t ever sell yourself short. Oh, Nancee, you are so extremely sweet. I am beyond thankful that I got to meet you in person last night. Such an encouragement.